With our voluminous experience, we have a firm understanding of the playing requirements of the players, which make us capable of delivering top quality Badminton Equipment in the market. The variety of Badminton Equipment, we offer, includes Badminton Rackets, Badminton Nylon Shuttlecocks, Ball Badminton Woolen Balls and Ball Badminton Net. 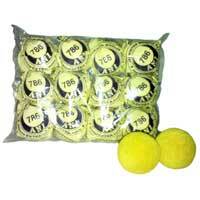 The Ball Badminton Woolen Balls and Ball Badminton Net are manufactured by us where as Badminton Rackets and Badminton Nylon Shuttlecocks are imported from reliable vendors of the industry. 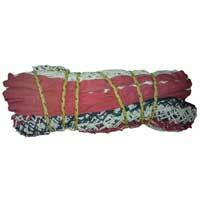 We offer the Badminton Equipment in varied specifications to cater to the diverse requirements of the clients. 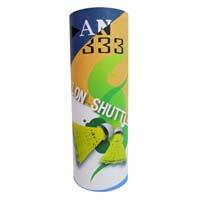 We, at A. N. Industries are engaged in offering a wide variety of Badminton Rackets. 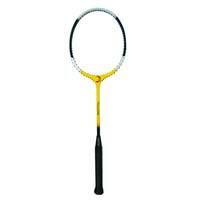 The variety of Badminton Rackets, we offer, includes Ball Badminton Rackets and Shuttle Badminton Rackets. These Badminton Rackets are greatly demanded by varied clients and are suitable for varied matches and tournaments due to their excellent quality.